There was a whole lot of hubbub last week about an internal email that Groupon’s CEO and co-founder Andrew Mason sent out to the employees of the Chicago-based social buying company, which AllThingsD got hold of and published. 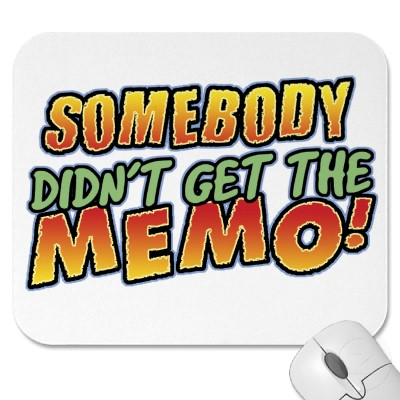 A lot of the noise centered less around the content of the memo — which sought to answer back at Groupon’s growing chorus of ever-noisier critics, who have been relentlessly pillorying the company over a range of financial issues since it filed for an IPO in June — than on the hows and whys of its release. And, of course, whether the email would get Groupon into trouble with the Securities and Exchange Commission over whether Mason had touted the company in violation of regulatory disclosure rules. News of that happening or not will come sooner than later, I suspect, but it is my impression that the very release of Mason’s defense of Groupon in a missive sent out to thousands of staffers — Hey, Henry, how is it that you didn’t get the memo? — says one clear thing about the sentiment of the company’s leadership. And that is: They could not be more pleased at finally having their say and they couldn’t care less about anything other than being able to strike a blow against the withering attacks. There are several reasons for this, according to many sources I spoke with this week about the fallout from the email, most of which center around the impact of the negative press on employee morale and the ability to attract new talent. What management at the company does not seem to be as worried about, said sources, is investor disinterest when it comes time to hawk and price the public offering. While the general Wall Street turbulence might spell a lower valuation, sources said Groupon’s execs and board expect to be oversubscribed when it finally gets out on the market. Since I do happen to know about birthing babies (and Mason decidedly does not): Ouchie! We’ll see soon enough exactly who will be feeling that pain.